Place tags are a great way to plan out seating ahead of time at your Thankgsiving Table and to add a personal touch to your place settings. 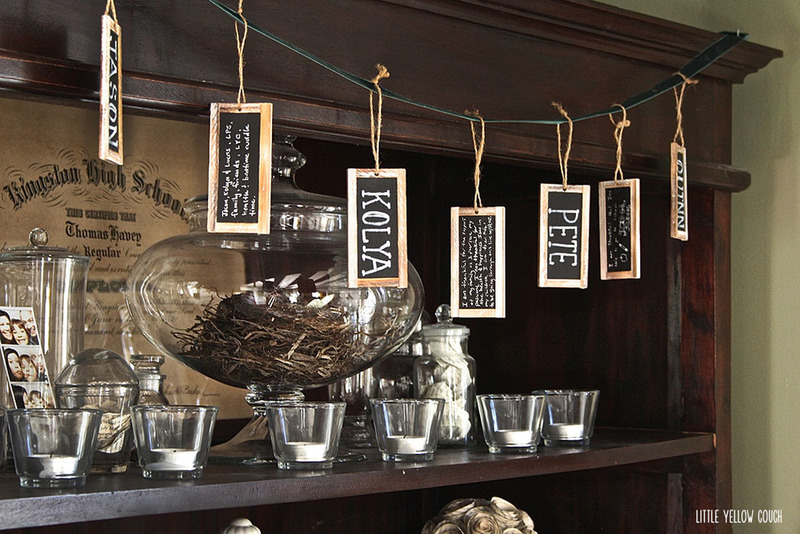 We picked up these wood framed chalkboard tags and used a white pen to hand letter our guests names. Cleverly, these tags also have a chalkboard back. So, we asked our guests to write what they are thankful for this year. After dinner the tags would look great hung as a garland or in December to deck the tree. See this and other projects (and link up your own) at the Hit Me With Your Best Shot link party!